NEW YORK -- In just his fourth appearance since making his UFC debut in February, unbeaten Israel Adesanya may have just made the leap from bright prospect to legitimate title contender with how seemingly easy he handled veteran Derek Brunson on Saturday. Not only did the 29-year-old Adesanya showcase his dynamic striking ability, it was the way in which he dominantly stuffed all five of Brunson's takedown attempts before walking him down in the closing seconds of the round that was most impressive. But Adesanya took his time in making sure to finish Brunson by surgically hurting him with one clean punch after another. Two more flash knockdowns followed with Brunson regaining his feet only to get drilled again before referee Herb Dean finally waved it off at 4:51. 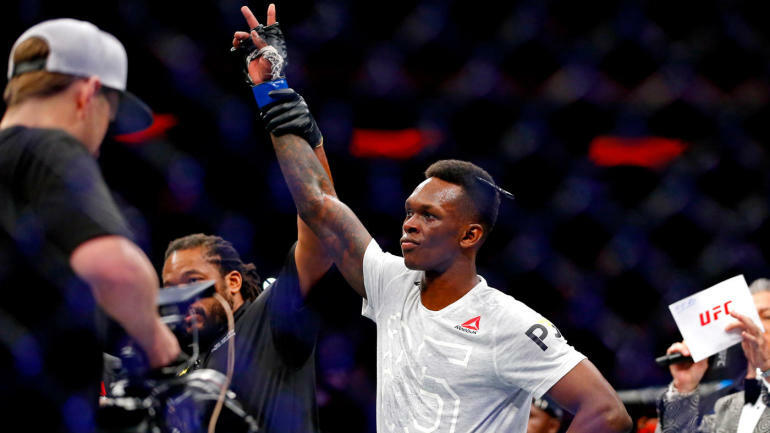 Adesanya, a former kickboxing world champion who also has seven bro boxing bouts under his belt, broke out into a lengthy celebratory dance upon the close of the fight as "The Last Stylebender" continued to turn heads as one of UFC's brightest future stars. I'm going to sit back and watch the rest of the fights in the middleweight tournament [on Saturday] and then I will applaud slowly."